Our team was registered successfully. The Judging form was completed. We are looking forward to present a poster and a talk at the iGEM Jamboree. We successfully participated in the Measurement Interlab Study. Several parts were submitted to the Registry of Standard Biological Parts. It was experimentally validated that K1319001, K1319004 and other BioBrick Parts and Devices of our own design work as expected. The characterization of K1319001, K1319004 and other BioBrick Parts is documented in the 'Main Page' section of that Registry entry and in the parts section of our Wiki. 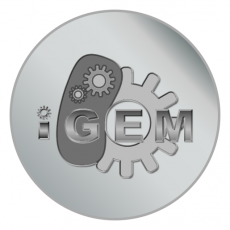 K1319001, K1319004 and other BioBrick Parts were submitted to the iGEM Parts Registry. During the project we addressed several important questions beyond the bench. Together with students of the Kaiser-Karls-Gymnasium and the Gymnasiun am Neandertal as well as people at the MakerFaire and at the iGEM Meetup we discussed several issues regarding our project, microorganisms in our environment and synthetic biology. Since we use genetically engineered bacteria to detect human pathogens, safety was an important aspect for us throughout the whole project. Together with other German iGEM Teams we encountered an issue regarding intellectual property rights in context of the legal status of Biobricks. We demonstrated a substantial improvement in cost efficiency of our OD/F Device in comparison to commercially available spectrophotometers. For more information see Economical View. We increased the accessability of our new measurement techniques by sharing instructions to build our DIY devices WatsOn and the OD/F Device. We built a low-cost DIY methane sensor for Team Braunschweig. We built AcCELLoMatrix Masks for Team Freiburg. We tested different expression vectors constructed by Team Heidelberg. On top of the Policy & Practice aspects already mentioned in the Silver Medal Requirements, we also critically evaluated the effectiveness of our approach to increase the social acceptance of gene technology in general, and of our initiative to spark interest for synthetic biology and DIY hardware. In addition to the medal criteria of the measurement track, we have characterized the existing BioBricks K131026 and I746909. We improved K731520 by replacing the GFP with an iLOV (now K1319042) and showed that it functions in our two-dimensional biosensor (link). We developed and optimized a novel method for detecting pathogens using a two dimensional biosensor. In our approach, the sensor cells are immobilized in optimized agar chips. It has been experimentally validated that this method works for different kinds of reporter cells, induction substances and readout methods including our newly designed system WatsOn. In order to improve the response of our sensor cells to induction we designed and engineered a novel reporter system using a TEV protease to activate a reporter protein by cleaving off a quencher. A faster response in comparison to regular expression of the reporter protein was shown by computational modeling as well as in our experiments. All parts needed to build this kind of reporter system have been submitted to the parts registry. WatsOn is a measuring device designed to read out novel two dimensional biosensor. Using WatsOn, we could demonstrate the successful detection of Pseudomonas aeruginosa with our chip technology. This measurement device is built from inexpensive and easily available parts to make it ideal for use in low-budget institutions. Following our economic strategy embracing the Open Access principle, we published all technical details and constructional manuals for WatsOn on our wiki. In addition, we have shown that our image analysis software Measurarty can analyze photos of the sensor chips taken by WatsOn and can effectively segment the image into pathogenic regions and non-pathogenic regions. In addition to our main project, we built an OD/F Device capable of measuring optical density and flourescence. It beats commercially available devices in cost and portability. It can be built with common, inexpensive and easily available parts. A construction manual is available on our wiki. The device has been successfully tested with one of the target groups, high school students, in our collaboration with the NEAnderLab. 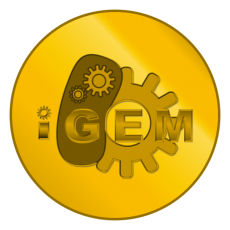 Since we compete in the Measurement Track of this year's iGEM competition, one of our bronze medal criteria was to participate in the Measurement Interlab Study. Our team was able to measure optical density and fluorescence of E. coli cells containing the three specified genetic devices, and obtained high quality data supporting the hypotheses regarding different expression levels depending on plamid copy number and promoter strength.